If you need any understanding about how Marvel’s vigilante was once viewed, that quote should sum it up perfectly. After a string of early success in the late 70’s and 80’s, Moon Knight had become all but a forgotten character at the House of Ideas. Created by writer/artist duo Doug Moench and Don Perlin, Moon Knight first premiered in 1975 as a villain in their title Werewolf by Night. Fans responded well to the character and he was quickly retooled as a superhero and given his own title in 1980. The ongoing series established Moon Knight and his alter-ego, former mercenary Marc Spector, a man suffering from schizophrenia (later changed to dissociative identity disorder) and believed himself brought back from the dead by the Egyptian god Knonshu after being betrayed and murdered by his employer. Despite somewhat contrived origins the title found a loyal readership and ran for over 100 issues across two volumes and a miniseries. Even with a healthy fanbase, Moon Knight was always viewed as an unessential, third tier character beneath more popular street-level heroes like Spider-Man and Daredevil. Furthermore, he was often (justly) likened to a pale imposture to DC’s hallowed Dark Knight, whom during this time was undisputedly the most popular character in comics. Moon Knight couldn’t come remotely close to matching Batman’s popularity and this fact was driven home when writer Chuck Dixon departed the series and became the most prolific Batman writer of the era. Moon Knight’s series was unceremoniously cancelled in 1994 and the character quickly faded into obscurity. Art by David Finch. Image courtesy of Marvel Comics. Turns out Huston was a big fan of the character and read the original run by Moench and Perlin. He aimed to further build on the character’s madness they established and take Moon Knight to deeper, darker depths than he had ever been. He paired with superstar artist David Finch and Moon Knight #1 Vol. 3 hit shelves to immediate acclaim. Huston’s brutal, psychological take on the hero was celebrated by fans and critics alike. Moon Knight launched to the forefront of the Marvel Universe, even crossing over into the mega-event Civil War. Huston and Finch eventually moved on from the title, but they established a new direction for the character that would be carried on by others. Volume 3 ended in 2009, but Marvel was quick to announce the high profile team of writer Brain Michael Bendis and artist Alex Maleev would be launching Moon Knight Volume 4. The two were industry rockstars who previously worked together on a classic run of Daredevil. This was a signal Moon Knight was set to be a marquee character that stood in no one’s shadow. Moon Knight #1 Vol. 4 hit stores in 2011 and faced a lukewarm reception from fans. Despite stunning artwork, many considered it a step back for the character. The title saw Marc Spector develop three new split personalities based on Spider-Man, Wolverine, and Captain America. After Moon Knight finally carved a niche it felt disingenuous to practically shoehorn Marvel’s most popular heroes into the title. The tone shifted to a more glossy, mainstream feel and readers abandoned the series. It was cancelled after twelve issues due to poor sales. Ellis paired with hot up-and-coming artist Declan Shalvey for the project. Moon Knight #1 Vol. 5 debuted in 2014 to unparalleled praise. Ellis returned the character to his roots by introducing yet another split personality of Marc Spector, the white-suited Mr. Knight. As Mr. Knight, Spector investigated crime in a more pulpy, detective-inspired fashion. 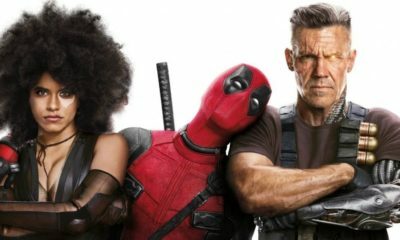 The focus returned to street-level crime and other characters from the Marvel Universe were completely absent. The new take was a huge success and Moon Knight topped the “must read” list of many. Ellis and Shavley only produced for six issues before handing off the project. That should have spelled doom. However, the groundwork they laid was so strong every creative team after them simply carried the torch, matching Ellis’ style accordingly. More impressively, they matched the quality. New arcs were made with Brian Wood and Greg Smallwood, then Cullen Bunn and Ron Ackins. Through each team Moon Knight remained a hit and critical darling. Moon Knight #1 Vol. 6 cover by Greg Smallwood. Image courtesy of Marvel Comics. Volume 5 ended at issue #17. Marvel announced yet another new volume would be helmed by writer Jeff Lemire and artist Greg Smallwood returning to the title. Premiering earlier this year, Lemire sought to re-imagine the hero again. “I really want to explore mental illness through this character. It’s really what makes Moon Knight so unique,” Lemire told CBR earlier this year. Moon Knight #1 Vol. 6 is part Fight Club, part One Flew Over the Cuckoo’s Nest. 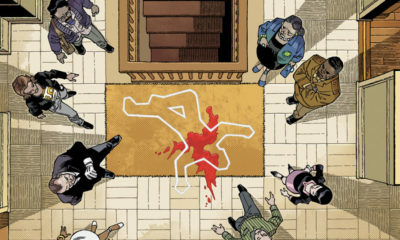 Lemire’s work is delving deeper into Marc Spector’s fractured psyche than ever and it has proved to be another home run. Fans have responded so well that issue #1 has gone through four printings. The sustained level of quality stories over the last few years, even as creative teams changed frequently, is nearly unprecedented. The title has become a relay race of incredible storytelling. 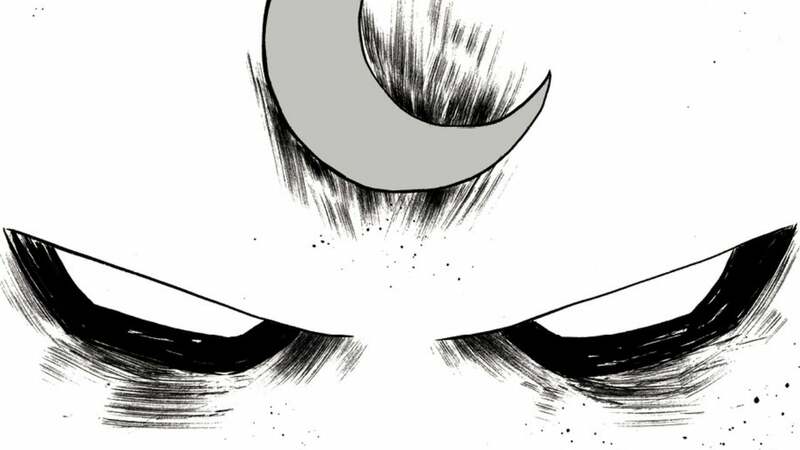 After decades of retooling, re-imaging and rebooting Moon Knight has finally arrived. 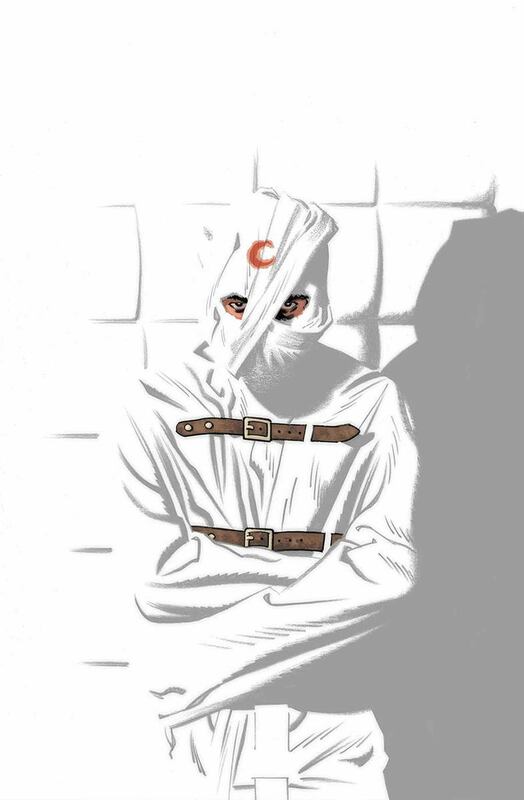 No longer considered an uninspired Batman clone, Moon Knight is his own man (or rather men), unique and unbound by the shackles of crossovers and guest appearances. True to his origins, when a Moon Knight title fades it only returns stronger than it was before. 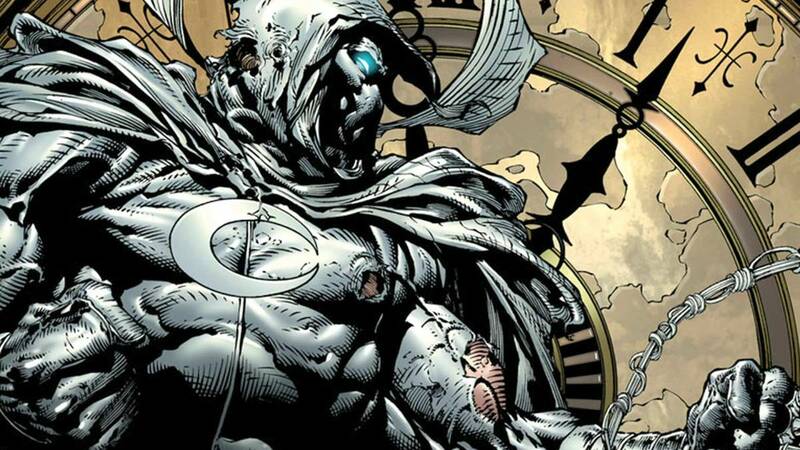 Moon Knight is more popular now than he has ever been; so popular that he’s currently rumored to have his own Netflix series in development that would introduce him to the Marvel Cinematic universe. It would seem the world has finally gone mad for Moon Knight. Thankfully, Marc Spector was never short on company.